Using a tried, tested and trusted formula, Kevin Bacon's Hoof Solution promotes hoof health. 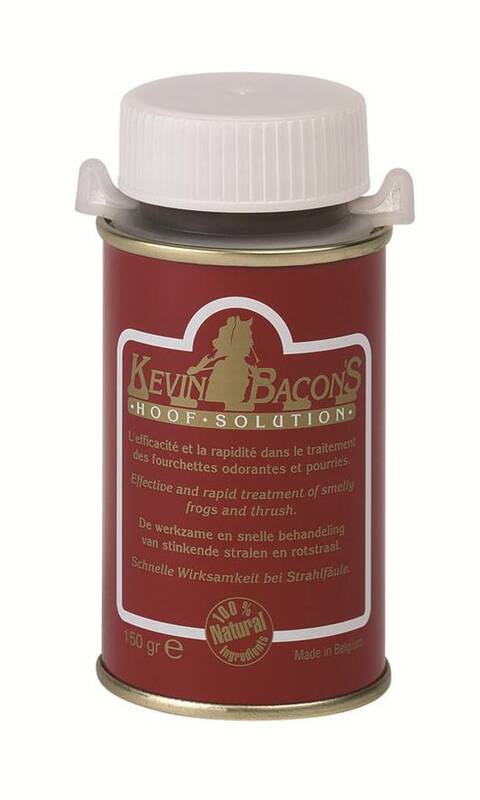 Combining astringent and antiseptic properties, Kevin Bacon's Hoof Solution is a superb product, particularly effective at dehydrating and cleansing infected keratinised tissue. Below are some recent questions we've received regarding Kevin Bacons Hoof Solution for Horses, including answers from our team. Can this be used on the heels of a pony? Mix product well with a small brush before using.